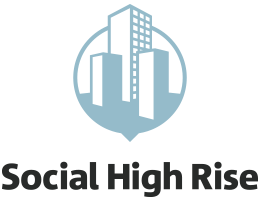 Social High Rise is comprised of smart compassionate people who hustle, and who aren’t afraid to get out of their comfort zone. We love social media, love local businesses, and we love people. We work our tails off to make sure our clients are represented honestly and authentically online, through social media, and we collaborate to create things that people love and that strengthen relationships. 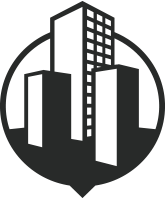 Social High Rise is located at the heart of downtown Chico, in beautiful Northern California. We're walking distance from the best farmers markets, shops, restaurants, and the 3rd largest city park in California (Bidwell Park). We’re also biking distance from just about anywhere in town. Our office is literally in an old “grand ballroom” on the 3rd floor of a 100-year-old historic building. It features 20-foot gold ceilings, huge windows, and tons of natural light. The entire company gathers every week for "team time" to review company milestones, celebrate wins, discuss ways we can improve ourselves, and discuss the latest on cats. No one ever wants to miss team time. No one. Ever. Paid employee medical insurance premiums. Cell phone stipend. Work from home days. Friendship. Learning. 3rd floor views. Social High Rise teammates enjoy free pizza from the best pizza joint in town, free bagels from the best bagel joint in town, and a free t-shirt. We have a punching bag, and central AC. Also, we listen to good music. Each team member is provided with a beautiful, state-of-the-art 2007 Dell workstation computer fully equipped with a keyboard AND a mouse. We spare no expense. We also like standing desks. But if you prefer to sit, we have a bunch of comfy couches you can work from, or you may work from a desk of normal height. The possibilities are endless. Working here is really, really challenging. Challenge accepted?